HACCP and Food Safety is a QQI level 5 course that will be of practical assistance to people who need to implement a food safety system. It is suitable for anyone working in the food industry and successful participants will be able to evaluate their own food operation’s hygiene, food safety, quality and management, having regard to legislative requirements, voluntary standards, consumer requirements and customer health and safety. HACCP means hazard analysis and critical control point. 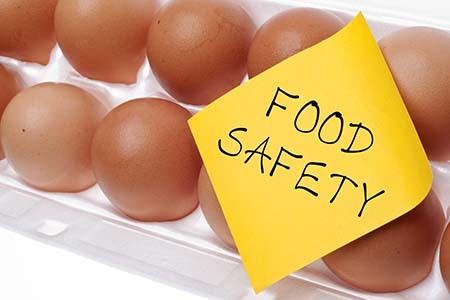 HACCP and Food Safety is at supervisors and managers level within the food industry. Our Academic Standards Quality Officer/tutor Pat Flynn has been involved in training since 1975 and has worked extensively in the UK and Ireland. He has educational qualifications in Food, Business, World Class Manufacturing and Healthcare. He is also a qualified QQI level 6 People Handling and Manual Handling instructor who is very passionate about Healthcare and Food Safety. Your attitude is more important than your ability. Your motives are more important than your methods. Your courage is more important than your cleverness. Always have your heart in the right place. Determine hazards. Identify control measures for named hazards. Identify Critical Control Points and establish critical limits. Establish monitoring systems for CCPs. Outline the duties and requirements of the HACCP team. Note: This course is ideal progression for candidates who currently hold a QQI Level 4 Handling Food Hygienically qualification. © Copyright 2013 by NCU Training. All Rights Reserved.